(Health.com) -- It's shocking, but it's true: Being a woman who's more than 20 pounds overweight may actually hike your risk of getting poor medical treatment. In fact, weighing too much can have surprising -- and devastating -- health repercussions beyond the usual diabetes and heart-health concerns you've heard about for years. What's going on here? Fat discrimination is part of the problem. A recent Yale study suggested that weight bias can start when a woman is as little as 13 pounds over her highest healthy weight. Our culture has enormous negativity toward overweight people, and doctors aren't immune. "Our culture has enormous negativity toward overweight people, and doctors aren't immune," says Harvard Medical School professor Dr. Jerome Groopman, M.D., author of "How Doctors Think." "If doctors have negative feelings toward patients, they're more dismissive, they're less patient, and it can cloud their judgment, making them prone to diagnostic errors." With nearly 70 million American women who are considered overweight, the implications of this new information is disturbing, to say the least. Here, what you need to know to get the top-quality health care you deserve -- no matter what you weigh. When Jen Seelaus, from Danbury, Connecticut, went to her doc's office because she was wheezing, she expected to get her asthma medication tweaked. Instead, she was told she'd feel better if she'd just lose some weight. "I didn't go to be lectured about my weight. I was there because I couldn't breathe," says the 5-foot-3, 195-pound woman. "Asthma can be dangerous if it gets out of control, and the nurse practitioner totally ignored that because of my weight." Seelaus's nurse made a classic diagnostic error, according to Groopman. "It's called attribution, because your thinking is colored by a stereotype and you attribute the entire clinical picture to that stereo­type. Because obesity can cause so many health problems, it's very easy to blame a variety of complaints, from knee pain to breathing troubles, on a patient's weight. That's why doctors -- and patients -- need to constantly ask, 'What else could this be?' "
There aren't statistics on how many diagnostic errors are due to weight, but the data for the general population is disturbing enough. "Doctors make mistakes in diagnosing 10 to 15 percent of all patients, and in half of those cases it causes real harm," Groopman says. Based on anecdotal evidence -- patients who've told her that their doctors are often too quick to blame symptoms on weight -- Rebecca Puhl, Ph.D., director of Research and Weight Stigma Initiatives at the Rudd Center for Food Policy and Obesity at Yale University, suspects that being heavy could further increase the odds of being misdiagnosed. Even if doctors are aware of the potential traps they can fall into when diagnosing an overweight patient, extra body fat can literally obscure some illnesses, including heart disease and different types of cancer. "It's more difficult to hear heart and lung sounds in heavy people," says Dr. Mary Margaret Huizinga, M.D., M.P.H., director of the Johns Hopkins Digestive Weight Loss Center. "I use an electronic stethoscope, which works well, but I'm very aware of the issues that can crop up in overweight patients. Not all doctors have these stethoscopes -- or are aware they need one." Dr. Jeffrey C. King, M.D., professor and director of maternal-and-fetal medicine at the University of Louisville School of Medicine, says that "the more tissue between the palpating hand and what you're trying to feel, the harder it is to detect a mass." That may be what happened to Karen Tang [not her real name], a 5-foot-8, 280-pound woman who went to the doctor for pelvic pain. Her doctor palpated her uterus but didn't feel anything. "By the time I was referred to a gynecologist, I had a fibroid the size of a melon -- so large it was putting pressure on my bladder," she recalls. Even a routine pelvic exam can be tricky, especially if you've had children. "The vaginal walls become lax and collapse into the middle, obscuring the cervix," King says. Larger or modified speculums can help, but not all docs have them and they can make the exam more uncomfortable, says Dr. Lynda Wolf, M.D., a reproductive endocrinologist at Reproductive Medicine Associates of Michigan. That may explain the disturbing finding that obese women are less likely to get Pap smears than normal-weight women. But doctors may be partly to blame for the screening lapse, too. A University of Connecticut study of more than 1,300 physicians found that 17 percent were reluctant to do pelvic exams on obese women and that 83 percent were hesitant if the patient herself seemed reluctant. Ultrasound is the approach that's the most limited by body fat, because the beams can't penetrate the tissue if you have more than 8 centimeters of subcutaneous fat. Physical exams aren't the only things hampered by obesity. Large patients may not fit into diagnostic scanning machines -- computed tomography (CT) and magnetic resonance imaging (MRI), for instance -- and X-rays and ultrasounds may not be as effective, says Dr. Raul N. Uppot, M.D., a radiologist in the Division of Abdominal Imaging and Intervention at Massachusetts General Hospital in Boston. "Ultrasound is the approach that's the most limited by body fat, because the beams can't penetrate the tissue if you have more than 8 centimeters of subcutaneous fat," he says. This affects women, in particular, because ultrasound is used to diagnose uterine tumors and ovarian cysts and to evaluate the mother's and baby's health during pregnancy. Just last May, researchers at the University of Texas Southwestern Medical Center at Dallas reported a 20 percent decrease in the ability to detect problems in fetuses of obese women with ultrasound. In another study, obese women were 20 percent more likely to have false-positive results from mammograms -- readings that can lead to unnecessary biopsies and anxiety. While CT scans are less affected by body fat, getting clear images in heavy patients typically requires a lot more radiation than with normal-weight patients, making it riskier, especially if numerous CT scans are required. But trying to diagnose a health problem without proper imaging is like driving blindfolded. Doctors are sometimes left with little to go on except symptoms and intuition, especially in the emergency room, where physicians make life-and-death decisions in minutes. "If we can't get the imaging because of a patient's weight, and we are concerned about a pulmonary embolism or appendicitis, for example, we have to go ahead and treat based on our clinical impression," says Dr. Archana Reddy, M.D., a Chicago-area ER physician. Being overweight can get in the way of effective cancer treatment, too, experts say. The problem: underdosing. "Oncologists usually base chemo on patients' ideal weight rather than their true weight, partly because chemo is so toxic and partly because drug trials typically include only average women, so we don't know the correct dose for bigger women," says Dr. Kellie Schneider, M.D., a gynecologic oncologist at the University of Alabama at Birmingham. "But underdosing can mean the difference between life and death." Doctors have long known that obese women are more likely to die of ovarian and breast cancers, but when Schneider and her colleagues recently gave a group of overweight ovarian cancer patients chemotherapy based on their actual weights, they found that the women were as likely to survive the illness as thinner patients. "Doctors aren't intentionally under-treating overweight women," Schneider says. "We're just working with limited information." There are no studies on how often doctors refuse to treat patients because of their weight. But Sondra Solovay, an Oakland, California, attorney and author of Tipping the Scales of Justice: Fighting Weight-Based Discrimination, says she hears enough anecdotes to believe it's commonplace. Because of recent studies about various complications, Dr. A.J. Yates Jr., M.D., associate professor in the Department of Orthopaedic Surgery at the University of Pittsburgh Medical Center, says there are legitimate concerns about operating on patients with a very high body mass index (BMI). But Yates also notes that some surgeons are reluctant to offer surgery to very overweight patients because the operations are more difficult and time-consuming. And because data on surgical-complication rates is often calculated without accounting for the higher risk of an obese patient, even a few patients with complications can make the surgeon or hospital look bad to insurance companies. "If hospitals feel they're not looking good they could put subtle pressure on surgeons to avoid risky patients," Yates says. His concern is that overweight people could be increasingly discriminated against because of this. Suzy Smith, a 5-foot-3, 400-pound woman from Colonial Beach, Virginia, believes she was one of those people. When her doctor found a large tumor on her kidney, she struggled to find a surgeon who would treat her. Her urologist said that the hospital where he practiced didn't have a table sturdy enough to hold her, and he referred her to a surgeon several hours away. I was so shocked. He was basically telling me he wouldn't do the thing that was the most likely to save my life. "As soon as that doctor walked in the room, I could tell something was wrong by the look on his face," she says. "He told me he wouldn't operate. He wouldn't risk it," she says. Instead, he offered her cryoablation -- a technique that freezes and removes tissue but is less effective than surgery for large tumors. "I was so shocked," Smith says. "He was basically telling me he wouldn't do the thing that was the most likely to save my life." Finally, in early-December 2008 a doctor removed the tumor. The surgery, after all the preceding drama, was anticlimactic. "It went fantastically well," Smith says. "My doctors were really pleased." But the overall experience, she says, was degrading and disheartening. "Here I was trying to deal with a diagnosis of cancer, worrying that the cancer might spread with every day that went by, and the medical field was closing doors on me left and right." Infertile couples who are told they can't have in vitro fertilization (IVF) because of the woman's weight also feel doors shutting. Most fertility clinics have stringent rules. "I'd say 95 percent won't do IVF on a woman with a BMI higher than 39 [5-foot-4, weighing 228 pounds, for example], and they usually require an electrocardiogram (EKG) and blood tests if it's higher than 34, because being overweight reduces your chance of getting pregnant and having a healthy pregnancy," says Dr. Laurence Jacobs, M.D., of Fertility Centers of Illinois. In most cases, he can't accept a patient with a BMI of 40, even if she has no other health issues, because IVF typically takes place in an outpatient setting that's not set up for the higher anesthesia risks associated with obese patients. "No anesthesiologist is going to take that risk for someone who's not willing to make the effort to lose weight," Jacobs says. Even more worrisome, a study from Duke University found that obese patients were less likely to receive procedures like cardiac catheterization that can help diagnose and treat heart disease, perhaps because doctors are concerned about potential complications, says lead author Dr. William Yancy Jr., M.D., an associate professor at Duke and a staff physician at the VA Medical Center in Durham, North Carolina. Because of the high risk of heart disease in obese patients, the benefits of catheterization may outweigh the risks, he says. "But if the tests aren't performed, heavy patients may not receive appropriate therapy." Even organ transplants may be withheld because of weight. Patients with BMIs higher than 35 -- if you're, say, 5 feet 4 inches tall and weigh 205 pounds -- are typically less likely to be given a kidney or liver transplant because of the increased risk of postsurgery complications, including infections, blood clots, and pneumonia. "It's a very difficult issue," says Dr. Shawn Pelletier, M.D., surgical director of liver transplants at the University of Michigan Health System in Ann Arbor. "We have an obligation to use donor organs in a responsible way. But this is lifesaving surgery, and we don't want to turn people away. Obese kidney-transplant patients may not survive as long as thinner patients, but they live an average of three times longer than if they didn't get the transplant. That's a big benefit, even if there are risks." Many experts believe the issue goes beyond the strictly medical and into the arena of ethics. "Doctors need to ask themselves, 'Is this obese person less deserving of medical care than the same person would be after weight-loss surgery?' " says Barbara Thompson, vice-chair of the Obesity Action Coalition, a nonprofit advocacy group. "How do we determine whether a person's weight somehow justifies withholding needed medical care or whether bias by providers is the reason treatment is denied?" Yale's Rebecca Puhl asks. "It's an extremely important question with significant implications." When Celina Reeder, a 5-foot-5, 185-pound woman with a torn ligament in her right knee, was told by her surgeon she needed to stop eating so much fast food before he would schedule surgery, the Woodacre, California, woman was astounded. "I left his office feeling ashamed," she recalls. "And I don't even eat fast food! The more I thought about it, the madder I got. So I switched surgeons. Anybody who thinks doctors treat heavy women the same as thin women has obviously never had a weight problem. I really felt like my doctor didn't respect me." She may have been right. University of Pennsylvania researchers found that more than 50 percent of primary care physicians viewed obese patients as awkward, unattractive, and noncompliant; one third said they were weak-willed, sloppy, and lazy. In addition, researchers at Rice University and the University of Texas School of Public Health in Houston found that as patient BMI increased, doctors reported liking their jobs less and having less patience and desire to help the patient. Whether they know it or not, doctors' attitudes may actually encourage unhealthy behavior. Feeling dissed about their weight can make some women turn to food for comfort. "Stigma is a form of stress, and many obese women cope by eating or refusing to diet," Puhl says. "So weight bias could actually fuel obesity." Studies have also found that overweight women are more likely to delay doctors' appointments and preventive care, including screenings for cancer, because they don't want to face criticism. "It can be frustrating to treat obese patients," admits Dr. Lee Green, M.D., M.P.H., a professor of family medicine at the University of Michigan in Ann Arbor. "I spend most of my time treating the consequences of unhealthy lifestyles instead of actual illnesses. People come in complaining of foot or knee pain, and I'm thinking, Do you not see that you're in pain because you're 60 pounds overweight? I don't say that, of course. I try to encourage them to lose weight." Green seems to be in the minority when it comes to focusing on weight-loss solutions. One study found that just 11 percent of overweight patients received weight-loss counseling when they visited a family-practice doctor. Without a doubt, the medical community needs to take a hard look at the secret biases that may be coloring how they care for overweight women. But some progress is being made. The National Institutes of Health has been encouraging researchers to start identifying and fixing the barriers heavy people face when trying to get health care, says Dr. Susan Yanovski, M.D., co-director of the Office of Obesity Research at the National Institute of Diabetes and Digestive and Kidney Diseases. And some hospitals are adding larger surgical instruments, wheelchairs, and other equipment. 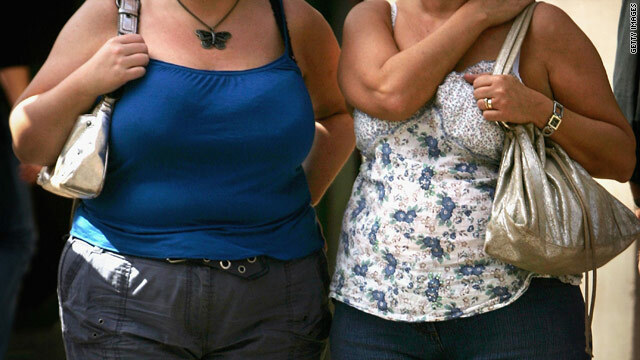 There's an even bigger problem, though: when heavy women are ignored, the obesity epidemic is ignored, too -- and that has to stop, experts say. "Being mistreated or dismissed by your doctor because of your weight is unacceptable. But what's just as important is that doctors are missing an opportunity to help their patients lose weight and improve their health," says Huizinga of Johns Hopkins. "Doctors and patients need to be able to speak openly about weight-related issues, whether it's the diseases caused by excess weight or the reasons why a patient overeats. That level of conversation requires a certain degree of comfort, and the basis for that is mutual respect, plain and simple," she says. "That's how we can help all women get healthier."